Enhance your outside room to lift your spirits and bring you joy. 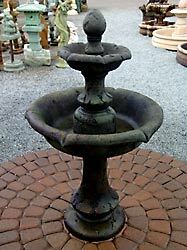 West Sound Landscape Supplies offers artistic interpretation for your imagination. If you want your yard to be a cut above, we'll provide the finishing touches, from statuary to decorative rock to flagstone from around the United States. Watch HGTV, then come see us. We have patios and projects you can afford to do yourself. We're here to facilitate your outdoor room dreams. We encourage you to visit our spacious outdoor plaza and view all that we have to offer. The possibilities are endless for your gardening and outdoor landscaping and decorating needs. You'll find everything you desire, and more, when you visit our expansive plaza of inventory. 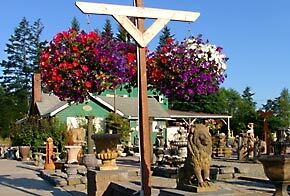 Our inventory contains one of the Kitsap Peninsula's largest selections of slate, patio flagstone, concrete statuaries, and fountains. To reach our mountain of bark, take the Sedgwick Road exit off Highway 16 and head South on Bethel Road, or take the Mullinex exit and head North on Bethel Road.